Issue 08 of Very Nearly Almost magazine is set to drop next week on the 19th of February. The new issue will feature Kid Acne, Herakut, Faile, JR, Dave the Chimp, Nylon, Stagger and much more! To celebrate the release of this new issue a launch party is planned at Stella Dore Gallery on the 19th, 6- 9pm. As well as the the new magazine they will have a very limited number of VNAxKID ACNE t-shirts and other goodies to give away on the night. 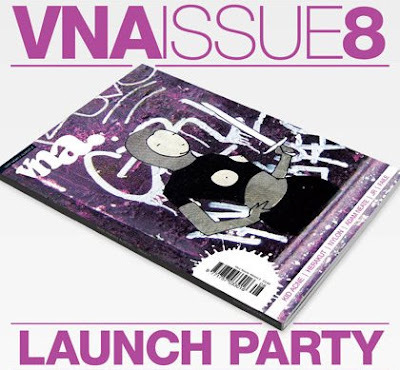 If you missed out on previous issues some of them are now available from the VNA shop.